The Sling angle is the greatest angle of the leg to the vertical. 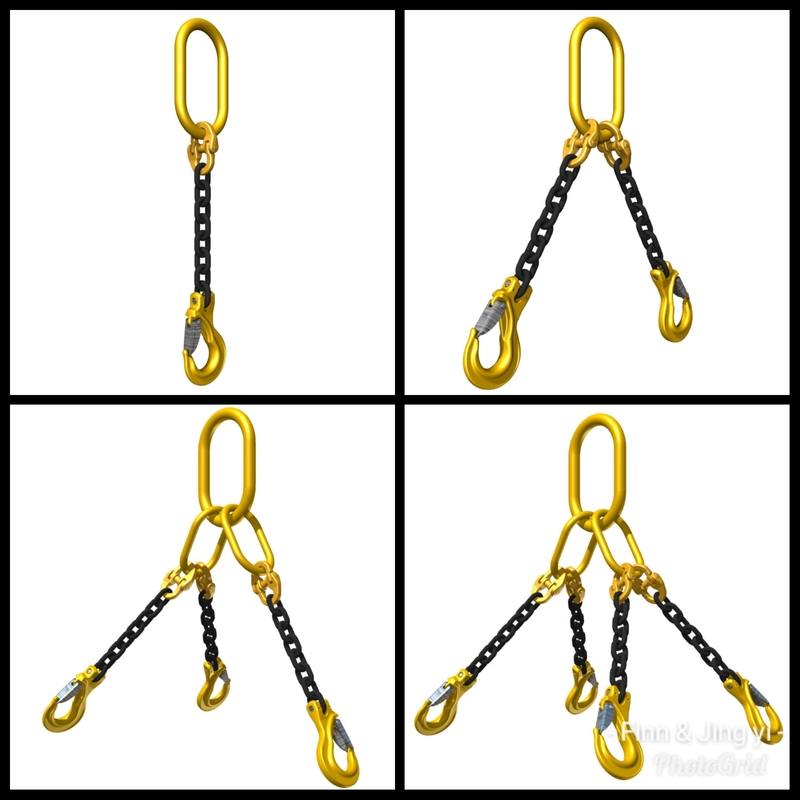 requirements of Australian Standard AS3775 Grade T Chain Sling. 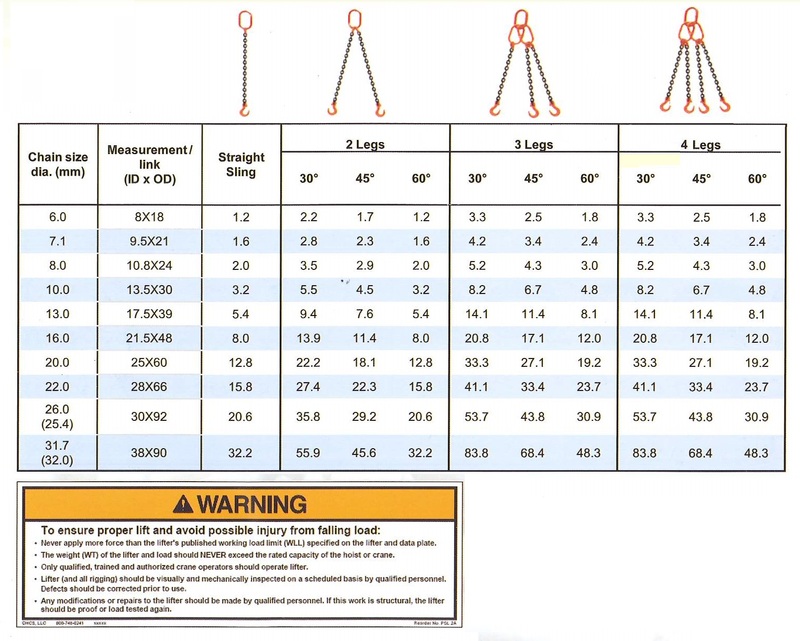 The 3 & 4 Leg Sling ratings apply only when each leg carries no more than one third of the load. The sling must be eated as a 2 leg assembly. of less than 30°C or when the load is flexible. the use, care and mainrenenace of slings should only be carried out by experienced operators. The below ratings apply only to General Conditions of use.